Bay Area Nerf: XD Rapidstrike "Whitestripe"
XD: eXtra Distance or eXtreme Disappointment? That Elite lettering looks pretty sweet. While the fans have been clamoring for a white stripe RS to add to their collections and match the rest of the elite line not everyone may be happy with this new addition. 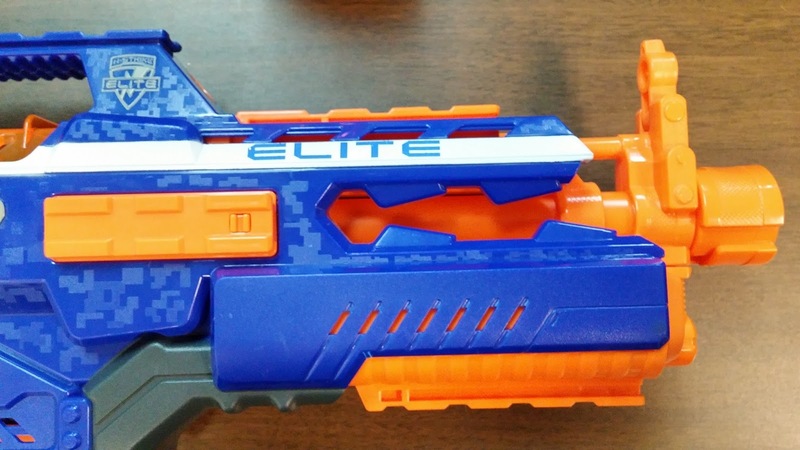 This blaster has dropped when the standard colors for elite is on the verge of changing from blue with a white stripe to either orange with a white stripe, or white with a blue or orange stripe. 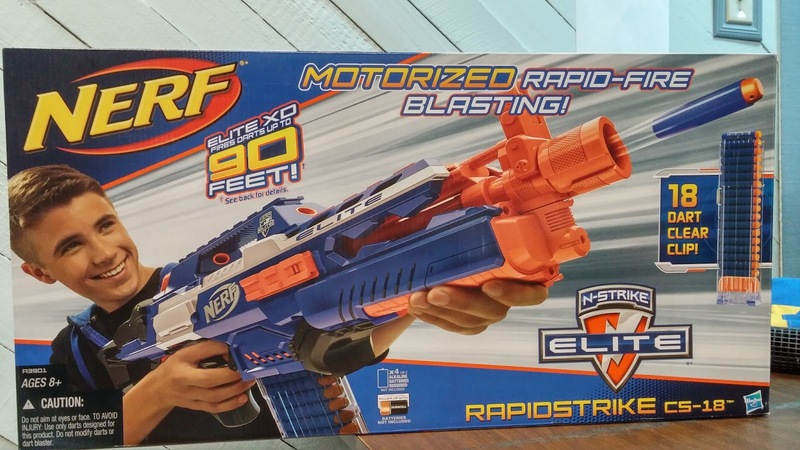 Sure, we're glad it's finally come out, but we're not gonna lie... and white Rapidstrike with blue stripes akin to the new Retaliator would look pretty sweet. Weren't people wanting LESS orange? 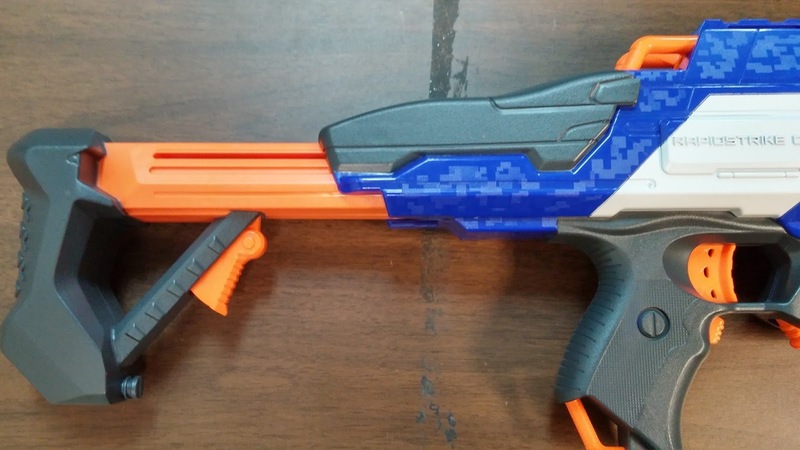 That's not all, for some reason, Nerf has decided to change the color of the stock to orange. Maybe it's just us, but it looks pretty out of place when compared to the rest of the blaster. Of course, as with everything else we've seen XD it doesn't look like there's a real difference in ranges. 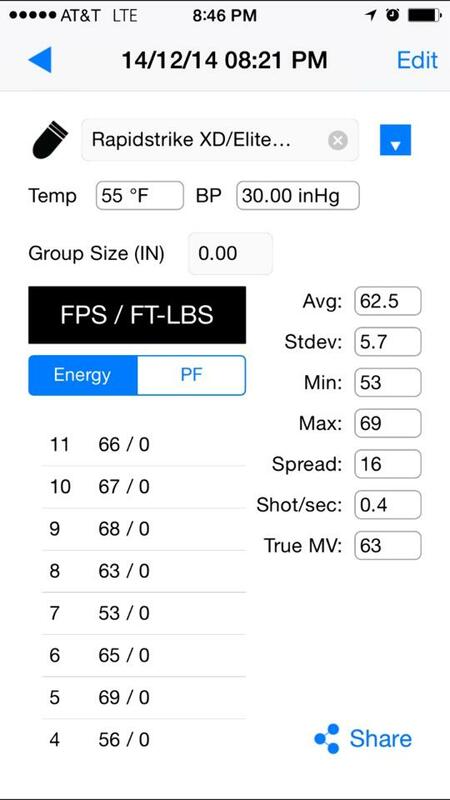 Check out the chrono data or watch our video below for some more details. These are just some quick numbers but it seems pretty negligible. Plus the original Rapidstrike has been battle tested for the past year or so, so although the batteries and darts were the same, it did have some more wear on the motors. Final verdict: If you don't own a Rapidstrike, and you like the white stripe, it's worth picking up. If you already own one, you might just wanna give you're old blaster a little TLC and a fresh coat of white paint. Unless you REALLY want those blue ELITE letters, then you can always buy two and swap the stocks. Interesting. The only experience I've had with XD is the Firestrike and the XD version does shoot harder. That might be a grey trigger thing though. 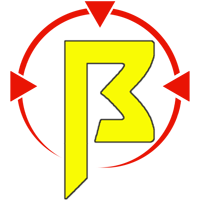 Where did you get the blaster from? Since the re released the strong arm in white, would there be a chance the rapidstrike may come out in that color too?? There's noting that's been leaked to indicate that it's in the works, but it's certainly a possibility! This thing would look pretty sweet in white. Maybe it'll get a Modulus makeover.